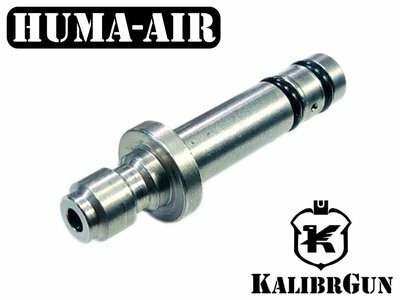 Kalibr Cricket Quick Connect Fill Probe, made of stainless steel. 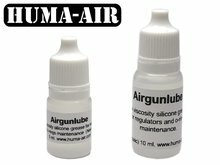 We all know the issue of having more airrifles and they all have different types of fill probes. 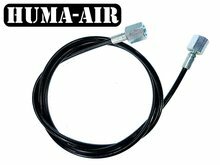 Huma-Air now offers a solution for it. We have a Kalibrgun Cricket Quick Connect Fill Probe with a foster male quick connect coupler, so you can now easily swap fill probes in a second, when you want to fill several types of airrifles. With the 4 different base models of Quick Connect Fill Probes available in our store, you are able to fill about 90% of the rifle's brands. 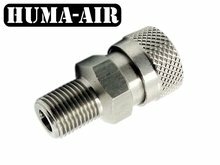 As 200/300 bars of pressure is seriously dangerous, we choose for high quality materials only; we make our Huma-Air Quick Connect Fill Probes out of one massive piece of stainless steel. 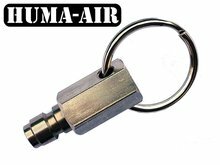 This ensures the highest durability and safety, not to be compared with the soft brass and silver plated plugs on the market. At the end of your fill hose you can attach one of our Foster Female Quick Coupler what makes it easy to swap fill probes in a second. Also a lot of rifles (Marauder, FX Impact, Brocock, Daystate) are also equipped with a foster male coupler.